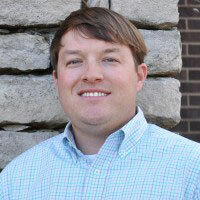 SOR Controls Group has hired Joseph (Joey) Nerstad as the newest member of the Sales Team by filling the position of Regional Sales Manager for the South East United States. Joey is responsible for managing the growing network of representatives and agents for the SOR Inc., Smart Sensors Incorporated (SSi) and SETEX Products brands in the South East sales region. He will report to Ted Johnson, Director of North America Sales. Along with his degree in Marketing from Auburn University, Joey is experienced with calling on engineering firms, power plants, chemical plants, refineries, food and beverage and the life sciences (pharmaceutical and biotechnical) for manufacturers and as a manufacturer�s representative throughout the United States. �He brings a successful track record of business development as a Regional Manager and has been a top performer in previous positions,� states Ted about Joey�s many years of experience.